Snakes: among the most misunderstood, yet revered creatures in the world. Over 3000 species are known to mankind, and they are distributed across every continent except Antarctica. For thousands of years, these legless reptiles have inspired fear and struck awe into the hearts of humans. Even today, many people who encounter snakes react in fear and kill it on sight. Some distasteful sayings, like “The only good snake is a dead snake,” have arisen from the very same fear. To combat this fear, World Snake Day is commemorated on 16th July every year, when conservationists and herp lovers reach out and educate people on the ecological importance and beauty of these strange creatures! In the words of the great Edward O. Wilson, “The mind is primed to react emotionally to the sight of snakes, not just to fear them but to be aroused and absorbed in their details, to weave stories about them” It’s no surprise, therefore, that they are such important parts of so many cultures. Snakes are prominently featured in Hindu mythology, with Nagas appearing in many works of art, representing rebirth, and freedom. Lord Vishnu is often portrayed reclining on a many-headed cobra. Similarly, in Buddhist artwork, Lord Buddha is commonly shown meditating below a large cobra, with its coils forming his seat, and its hood forming an ‘umbrella’. In Abrahamic cultures, the story of Aaron’s staff turning into a serpent before the Pharoah of Egypt is well known. Asclepius, the Ancient Greek god of medicine learned the secret of bringing people back from the dead from a snake (which were revered as symbols of wisdom and resurrection). Even today, Asclepius’ staff, with a serpent entwining it, has been adopted by hospitals and medical services around the world as a symbol of healing. 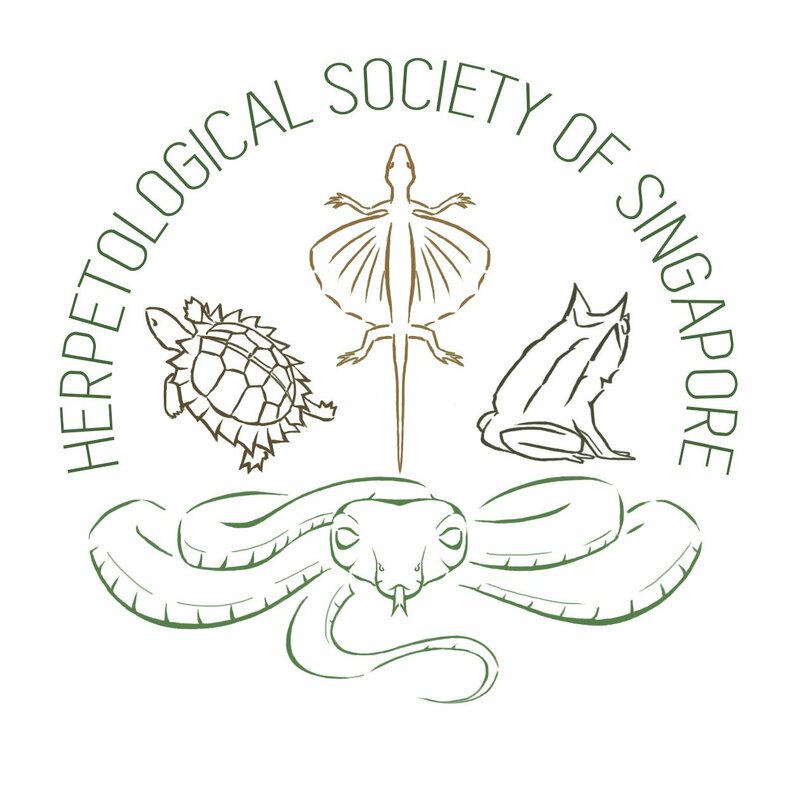 You might not think that urban and developed Singapore plays home to snakes, but there are surprisingly many species that thrive in the various ecosystems that can still be found in our green spaces. At least 64 species of terrestrial snakes have recently been recorded in Singapore. New records for the island have been made very recently. The Blackwater Mud Snake (Phytolopsis punctata) was only found to be in Singapore in 2014, while the second record of the Smooth Slug Snake (Asthenodipsas laevis) was also made in the same year. Roughly 18 species of Sea Snakes may also be found in Singaporean waters. While they are not common sights, they may occasionally be seen by lucky divers. Sometimes, they can even be seen at low tide. Becky Lee from the HSS wrote about her encounter last August with an injured Marbled Sea Snake (Aipsyurus eidouxii) during a walk with the Naked Hermit Crabs. Singapore plays home to many notable species of snakes, including the Reticulated Python (Malayopython reticulatus). This is the largest species of snake in the world! While they do not reach especially gargantuan sizes in Singapore, they are very commonly seen even in urban habitats! Sometimes, these human encounters result in the snake getting killed out of fear. Although they may seem scary, the pythons want nothing to do with humans, and actually help to keep rat populations at bay! Despite their unique evolutionary stories and massive ecological importance, these creatures are often victims of negative portrayals, superstitions and prejudice! It only seems fair that we should celebrate their existence and spread awareness on this sssspecial day! – Wilson, E. O. (1984). Biophilia. Cambridge, MA: Harvard University Press.